Taking in a great view is one of the best travel experiences to have in any city. Here’s where you can eat and drink with a view of Athens. 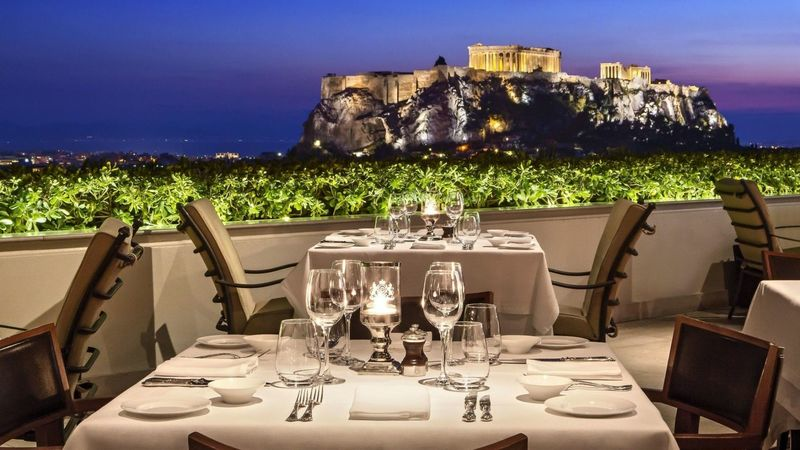 Eat and Drink with a View of Athens Every great city has venues which are memorable for any traveler. They are the best places to eat and drink while enjoying a beautiful urban view. In Athens, there are venues dotting the historic city center and even more set on the sparkling Athens Riviera. We are sure you’ll want to snap a pic of the panorama before you at the following places we list below and love as locals. In the up-and-comping Makrigianni district by the Acropolis, you can reserve a rooftop table while enjoying creative cocktails and fine Greek cuisine at Point a.